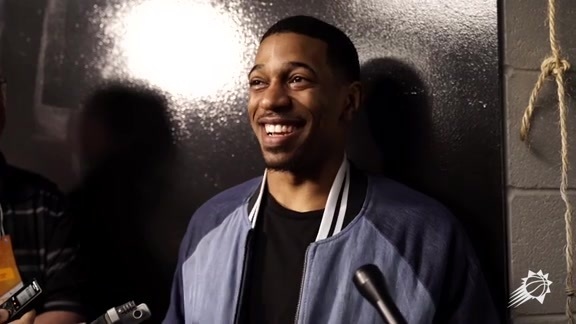 The Phoenix Suns traded for De’Anthony Melton from the Houston Rockets back in August and on Tuesday night the rookie showed Suns fans what he’s capable of when he checks into the game. After a rough first quarter for the Suns, Melton entered the game during the second quarter and quickly began to impress. By halftime, he had already notched a career-high in points and looked to be giving it his all on both ends of the court. 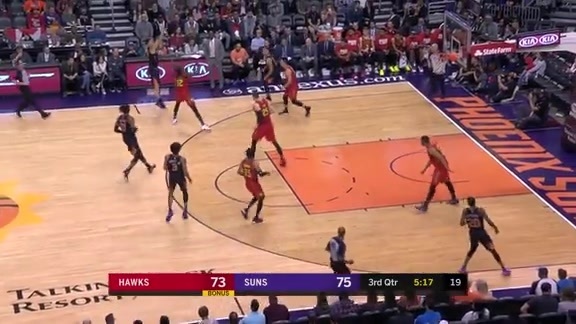 Although the Suns weren’t able to pull out a victory, Melton’s breakout performance definitely stood out to his teammates. Melton finished the game with 21 points on a highly efficient 75 percent shooting while knocking down three of his four shots from deep. He also tallied five assists, two rebounds and a steal in a career-high 23 minutes of action. 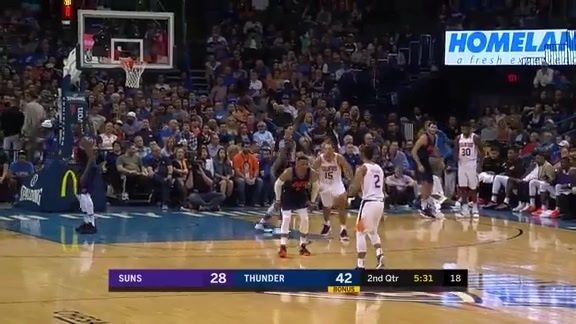 One of the best ways to gain confidence is through reps and the Suns have put a focus on having Melton get game time experience with their G-League affiliate Northern Arizona Suns and it seems to be paying off. In five games this season up in Prescott, Melton is averaging 17 points, 7 rebounds, 6.6 assists and 1.2 steals. NAZ Head Coach Bret Burchard runs the same system up North as the team does in the Valley, allowing Melton to learn the plays and adjust to the next level more smoothly. Although his minutes have fluctuated throughout the first few months of his NBA career, Melton credits his veterans for helping keep him mentally prepared for when his number is called. Head Coach Igor Kokoškov hasn’t ruled out the possibility of Melton taking hold of the starting point guard position going forward. While Kokoškov wouldn’t quite reveal his cards as to who his starter is, it’s clear that Melton will be seeing more minutes on the court going forward this season. Melton and the Suns travel to Portland to face the Trail Blazers on Thursday night. Be sure to catch the action on Fox Sports Arizona.